100% Neoprene boots are designed with additional bellows to resist bellow stress and ozone cracking, the leading cause of boot failure. A new axle nut is supplied with every unit for hassle-free installation, as the old nut on the vehicle is typically worn or stripped. Axle is measured 100% after assembly to ensure proper fit. Boot clamps are pneumatically crimped creating a perfect seal between the boot and housing. 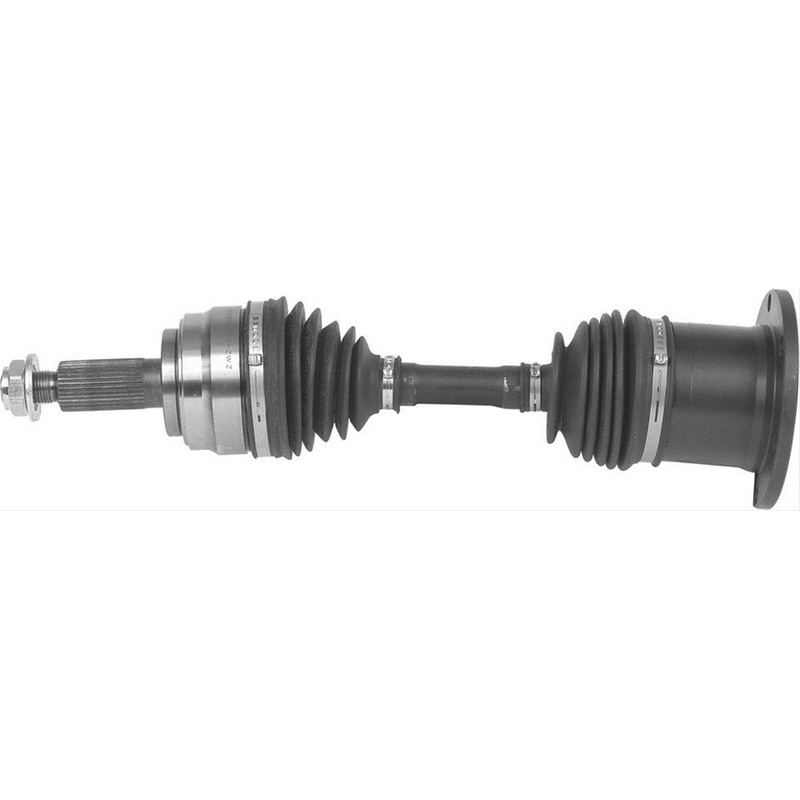 CARDONE Select Engineered (CSE) Technology ensures that all CV axles meet or exceed O.E. form, fit and function. High quality grease withstands high-temperature and high-torque demands to ensure long-lasting, reliable performance. Splines are precision rolled to ensure proper fit of axle into the mating hub and transmission, which eliminates installation hassles. Threads are precision rolled to ensure proper fit when axle nut is installed. Transmission seal diameter is precision-machined after heat treatment to ensure correct surface finish, promoting long seal life.